NZ roads: heaps safer soon? News! The government’s going to spend our dollars differently on transport: less of some stuff, and more of other stuff. Greater Auckland’s Matt Lowrie has read the new draft Transport Investment Proposal so you don’t have to. And it’s good news if you think our road toll trend is a bad thing. This post was originally published on Greater Auckland – thanks. Emphasis added for the Wellington Region bits! The Draft Government Policy Statement released in early April signalled a major shift in government transport priorities. One part of this was the funding for Rapid Transit, which has enabled a quick start to Light Rail procurement. Another major policy shift was that Safety was lifted to become one of the top 2 priorities. Until now, the impacts of this shift have not been clear. The government was only able to talk in broad terms about what this might mean for new transport projects. There has not yet been any official announcement from the government of where the new funding would be directed. However in the last few weeks, NZTA quietly put their “Draft Transport Agency Investment Proposal (TAIP)” onto their website. 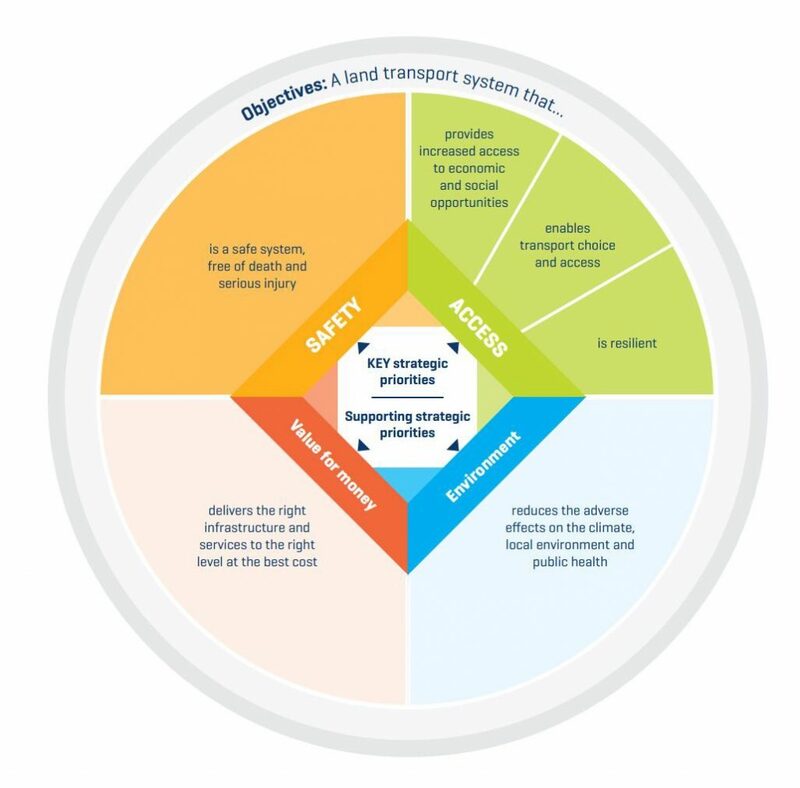 The TAIP replaces the former “State Highways Investment Proposal’ and sets out the NZTA projects that need to be included in ‘Regional Land Transport Plans”. The most interesting part of the TAIP, is that for the first time it clearly sets out how NZTA will convert the government new safety focus into projects. Is targeted to the most significant risks: Investment will focus on reducing the risk of head-on crashes, targeting high-risk intersections, making roads and roadsides more forgiving in the event of human error or mechanical fault, and protecting vulnerable users such as pedestrians, cyclists and motorcyclists. Can be delivered swiftly: We are focused on highest-value interventions that can be delivered within the next three years and immediately deliver significant safety benefits. For safety interventions that may take more time to design and deliver, we are investigating procurement approaches to expedite delivery as much as possible. The investments proposed by the TAIP will significantly reduce the number of deaths and serious injuries on our state highways. The full impact of the programme will be realised by June 2028, when the reduction in deaths or serious injuries will reach around 200 per year. By prioritising the most significant risks, the TAIP will achieve nearly half of this annual reduction by 2021. So to summarise, they expect a reduction of 100 deaths or serious injuries per year within 3 years. • Interventions to support active modes of transport such as walking and cycling. The TAIP outlines the 4 types of interventions, and their indicative costings. • Safe system enhancement works: includes quick-win median barrier projects, works to facilitate speed management, major intersection improvements, and corridor enhancements costing $2 million per kilometre. • Safer corridor improvements: includes motorcycle routes, active mode corridor improvements, and corridor projects costing greater than $200,000 per kilometre. • Safe intersection improvements: includes high risk intersection projects, and active mode intersection improvements. The TAIP includes a list of all the projects by region, however I have looked at them in detail, and the key facts are summarised below. Note these are all State Highway upgrade projects, the TAIP alludes to a similar programme for local roads, however this will rely on NZTA working closely with local authorities. Also should note that the TAIP doesn’t include costings for each project, so the costs are based on the indicative per kilometre figures from above. The map below I have put together shows the location of the proposed ‘Safe System Enhancement Works’, where the most expensive improvements will be made. This programme proposes that 280 km of these road upgrades are completed within the next 3 years, and a further 400 km within the next 10 years. At the indicative cost of the $2 million per kilometer, this would be a $1.4 billion investment. The ‘Safer Corridor Improvements’ projects propose the upgrade of around 1300 km of road in the next 3 years, and a further 2000 km over the next 10 years. Given expected project costs of between $200,000 and $2,000,000 per kilometer, this is a further investment of around $2 to 3 billion. Some of these safety ugrades also include a plan to deliver improved resilience (for example from floods and slips). Overall around 4000km of road will be upgrade in next 10 year, for an estimated cost of around $5 billion. This is in stark contrast to the previous Roads of National Significance Programme, that aimed to provide 300km of new motorways for around $10 billion. The proposed safety programme also is in stark contrast to the RONS programme in terms of delivery speed. Many of the RONS will not be complete until the early 2020’s, nearly 15 years after they were first announced. However these minor improvements can be delivered much quicker, with big progress expected within 3 years. Do you think that in terms of road spending, building fewer big new roads is worth making existing ones safer? when is something actually going to be done about the missing link between Petone and Ngauranga, pedestrians and cyclists should not have to use the hard shoulder of what for all intents and purposes is a motorway. It’s had a reseal since I last used to cycle it and get a puncture a week. There’s less trees in the middle of the walkway and less potholes for southbound, but northbound is still either the shoulder and bike crossing or go on the cycle/walk trail. Could do with some attention.